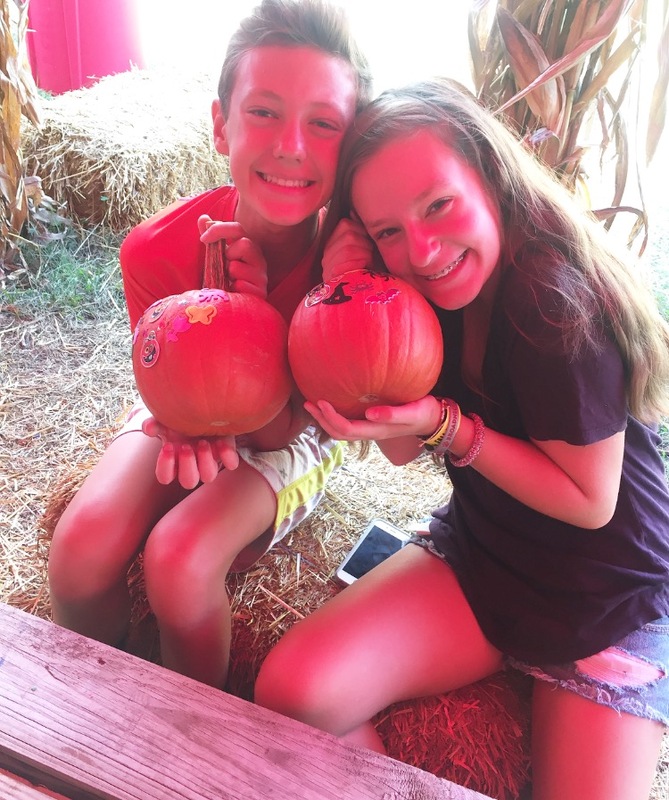 My kids might have outgrown this tradition but we still had fun! Diet is one of the most important factors in blood sugar control and it’s the first place to look when you feel like crap (i.e. exhausted, depressed, heavy, sick). I want to be clear on sugar. The body is designed to deal with small amounts of sugars so it’s not necessarily the sugar consumption that’s the problem; it’s the amount and type of sugar that’s being consumed. Small amounts of natural sugars (spaced out during the day) are usually fine for healthy peeps. BUT many people are eating waaaaaay more sugar than they should be. In fact, the average American adult consumes 22 teaspoons of sugar a day (32 teaspoons a day for kids!). Even if you think you are drinking diet soda with ZERO sugar, the artificially sweetened beverages contribute to insulin malfunctioning. They interfere with sugar storage in the liver, causing fatty liver. This can be eye-opening to those who think diet sodas help with weight loss. It’s the total opposite! Once the body’s ability to handle the sugar becomes chronically overwhelmed, it can no longer handle even small amounts of sugar efficiently. That is why many people who consumed sugar starting when they were little have so many problems as adults. Inflammation sets in over time, which leads to chronic illness. And sugar is the main culprit. I don’t need to tell you that sugar is freakin’ addicting. It’s human nature to want it. But here’s the lucky news, there are 7 supplements that can help balance blood sugar so hormone issues and disease can be avoided. *Before taking any supplements, check with your doctor. These are researched suggestions and not meant to diagnose. 7. 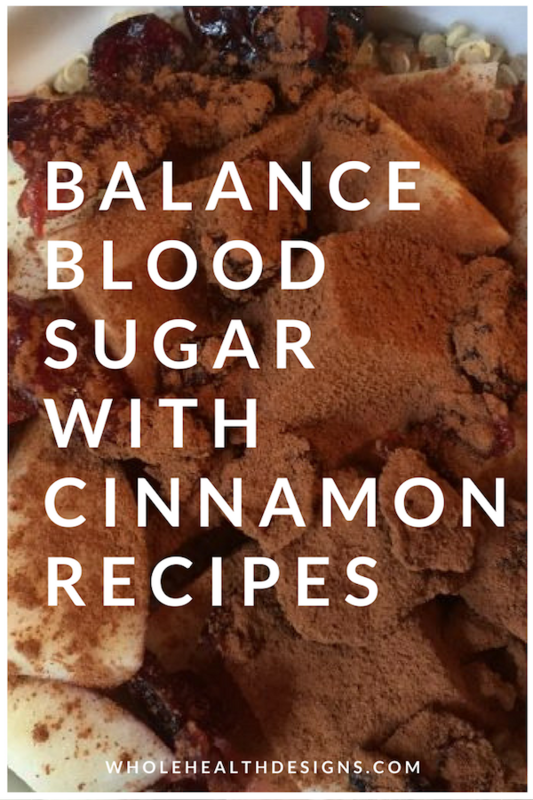 The most potent blood sugar balancer is something that you can grab from your pantry. 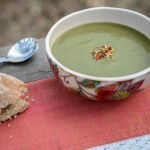 It’s also a fall-like spice I add to my smoothies, on almond milk yogurt, in soups and salads. I recommend Simply Organic brand but my local market was out! I got this clean brand instead and I love it! Cinnamon acts like insulin and makes the insulin receptors more responsive. Cinnamon is also a powerful antioxidant and helps decrease inflammation in fat cells which also improves insulin resistance. 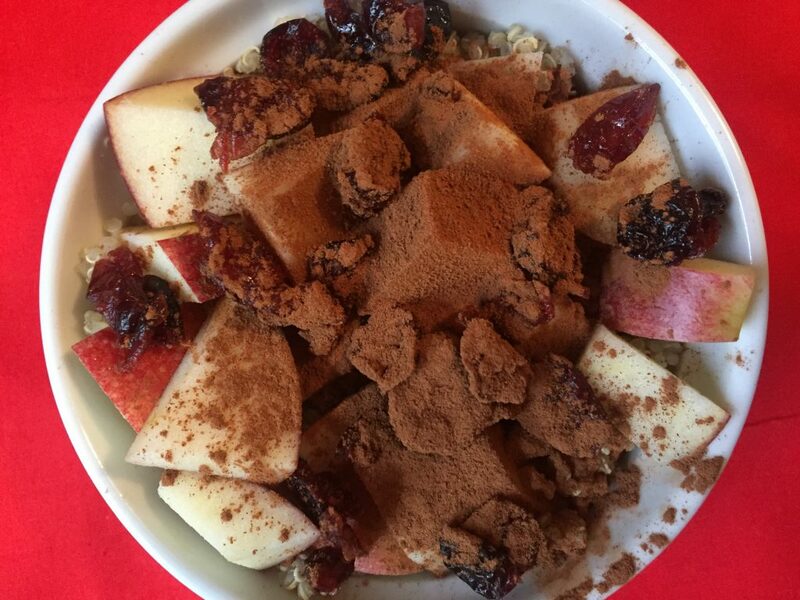 You can make a fun breakfast with quinoa, dried cranberries, apple, and cinnamon. In fact, it’s one of the breakfast recipes from Eat Clean 21FIT meal plan kit! Place quinoa in a bowl. Stir in apples, cranberries, and nutmeg. Sprinkle cinnamon on top. Serve. You can even make a tea out of cinnamon. Perfect for a chilly morning! 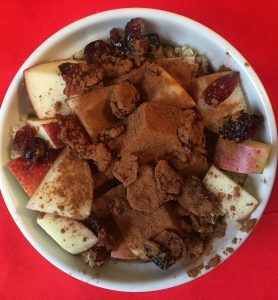 The recommended dose is 3 grams of cinnamon per day (about 1 tsp.). Timing your meals is also important to regulate blood sugar. Eat within 1 hour of waking up. Ideal meal spacing is 3 hours (no more than 6) between meals. Fast from dinner until breakfast the next day. TIP: Avoid eating carbs alone. 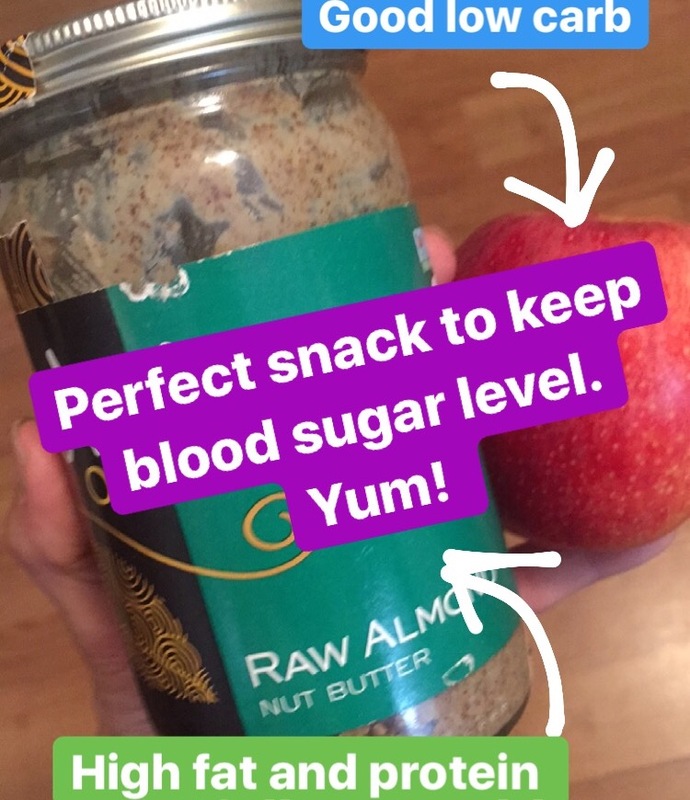 Always add protein and fat, even when snacking. The food combinations and blood sugar balancing recipes and menus are the foundation of the brand NEW Eat Clean 21FIT program! I know that it is hard to get motivated to follow any type of plan without some guidance and accountability, especially when sugar is all around us during the holiday season (Halloween for starters!) so you are invited to join us for 21 days of clean eating! Read more below on the brand new program and join me if you aren’t already signed up! You are invited! Have an awesome day, sprinkle dat cinnamon, and let’s get a grip on the sugar thang. I’m here for you! How do you like your cinnamon? Smoothies, salads??? PS. 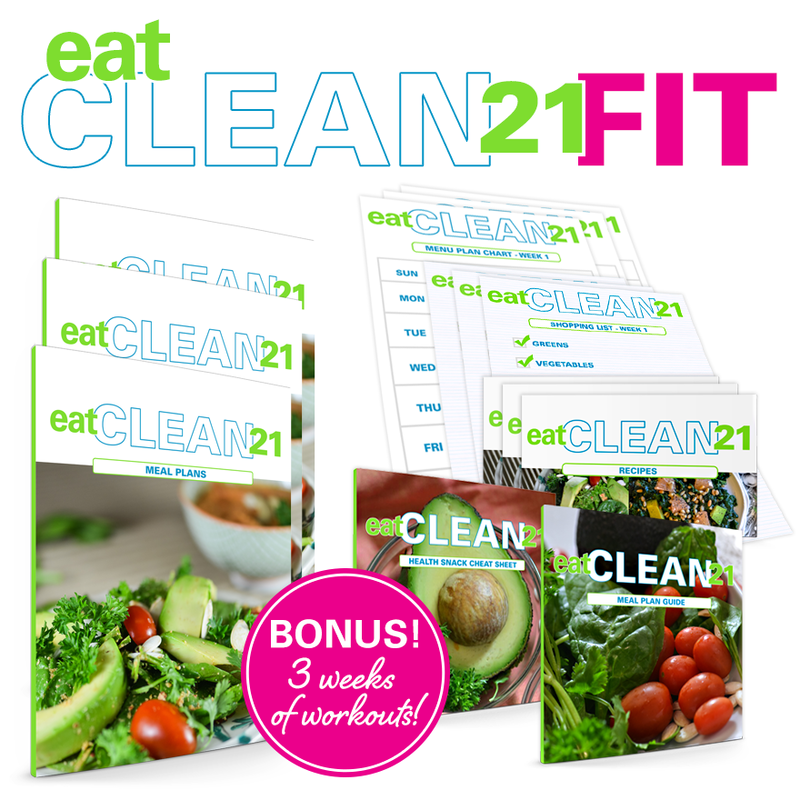 Join us to kick off the BRAND NEW #EatClean21FIT program with our LIVE GROUP CHALLENGE! I developed this program so busy people like YOU could easily get their hands on the EXACT information and plans I use with clients and with my own life. You will get all the info you need to take control of your cravings and meal prep along with your life! You’ll begin to enjoy your food, loving your body as well as feel fit and strong. You’ll be rocking the clean life! We will finish just in time for Thanksgiving, feeling light, less cravings and ready to head into the holiday season with a glow! Once you purchase your EC21FIT program, I’ll send you next steps regarding the challenge. Although Oct. 30th is our official start date for fall Eat Clean 21FIT Challenge, the program is designed to be self-guided and self-paced. Even though I will be coaching for the 21 days, you will have all the materials you need to start whenever you want. 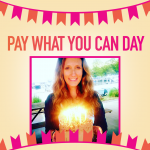 • Bonuses of having me coach you and the support of the group during our LIVE challenges during the year. Forever! EXTRA BONUS! 3 Weeks of Fitness Workout Videos! To maximize your results, we are lucky to have fitness expert, Nichole Kellerman, guide us each week with fitness vids to keep us toned and strong! “I lost four pounds and the bags under my eyes went away just after a couple of days. Even better, I no longer craved sweets! I found this program to be easy to follow since I didn’t need to do any planning or research, while the food was easy to prepare and tasted great. Lisa planned meals that use leftover ingredients. I now have a good supply of healthy foods to use going forward and ideas to make it easy to continue eating well. Lisa knows what she is doing. Lisa assembled a menu that is manageable and enjoyable. Her daily videos are a welcome boost. When I had a question, Lisa got right back to me with helpful suggestions. “ ~ Susan F.